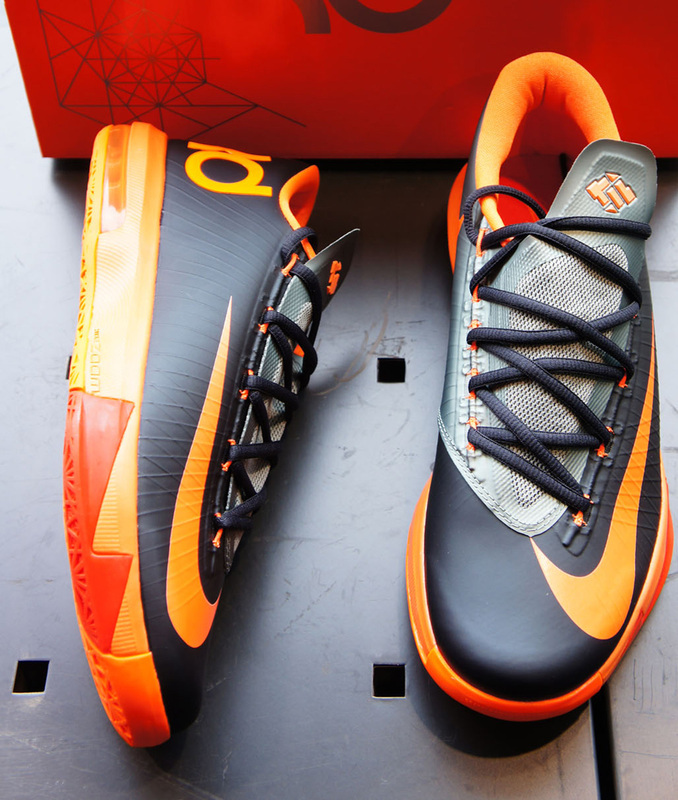 We've seen many new colorways for the KD 6 this year. 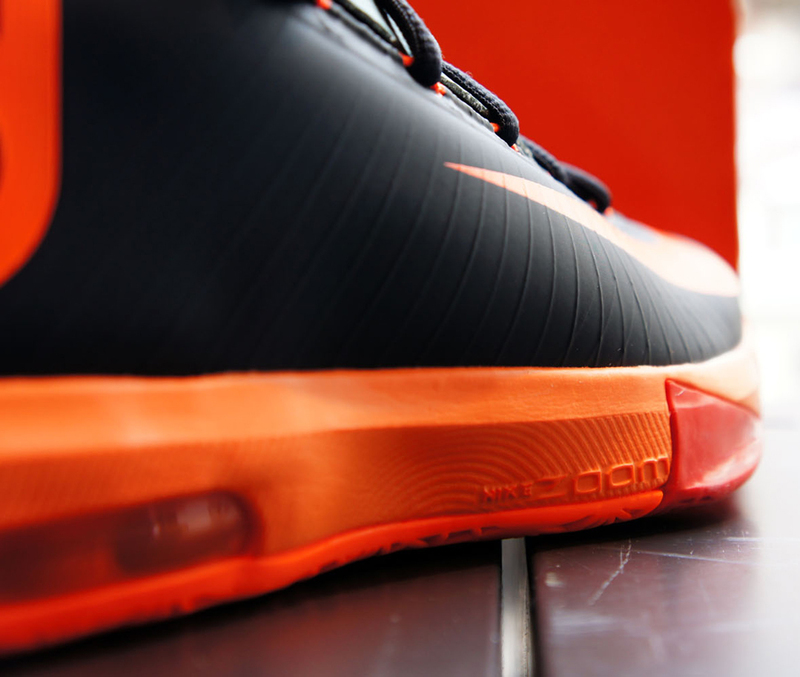 This time the KD 6 takes on a all black upper. 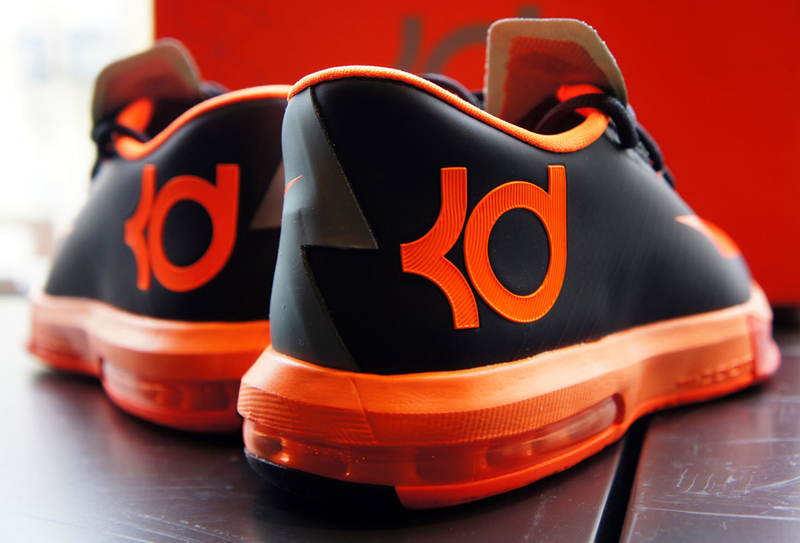 There are hits of orange on the swoosh, KD logo, & the logo on the tongue. 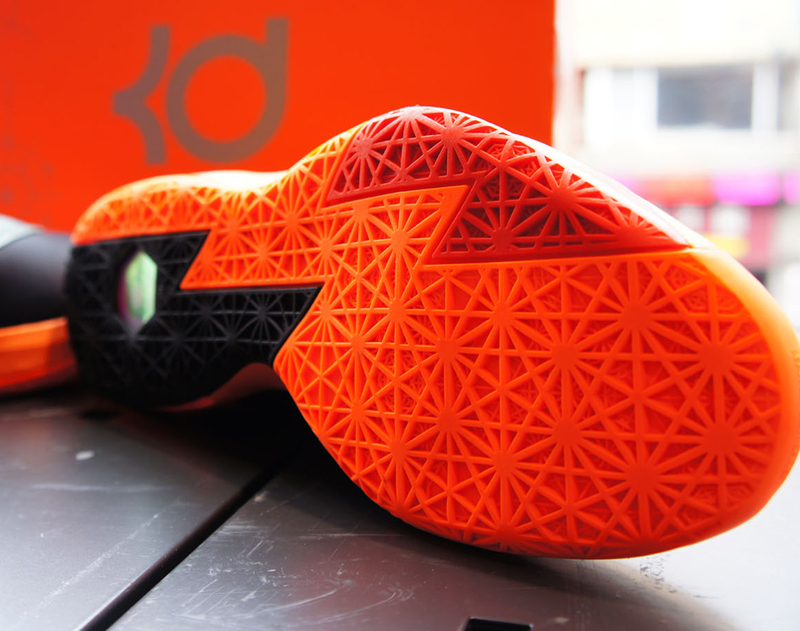 The midsole down is made up of different shades of orange. 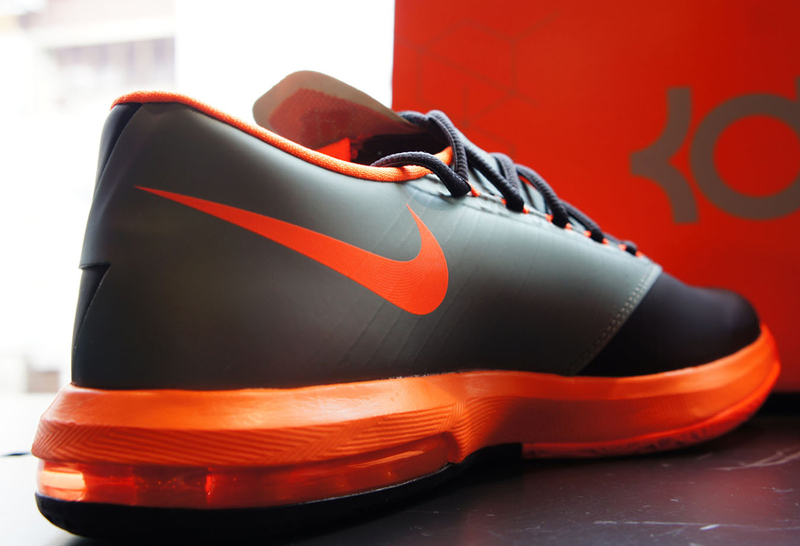 The KD 6 has been going strong recently, we can only wonder how many more colorways of the KD 6 will we see. 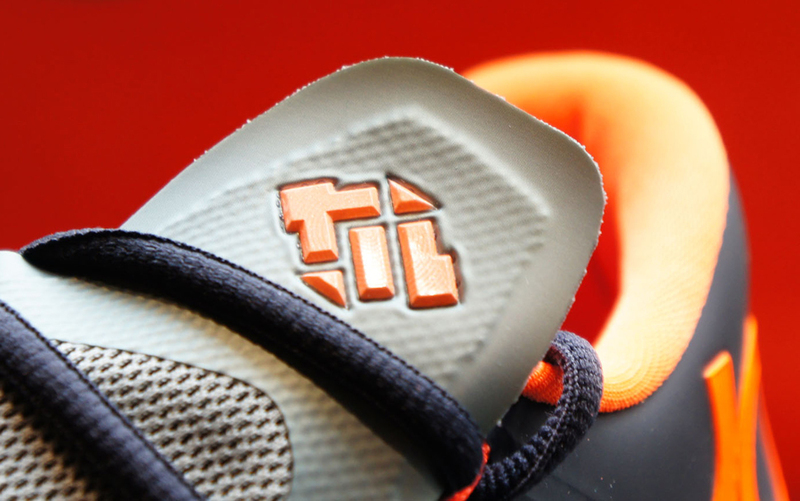 Check back later for the release date of these.